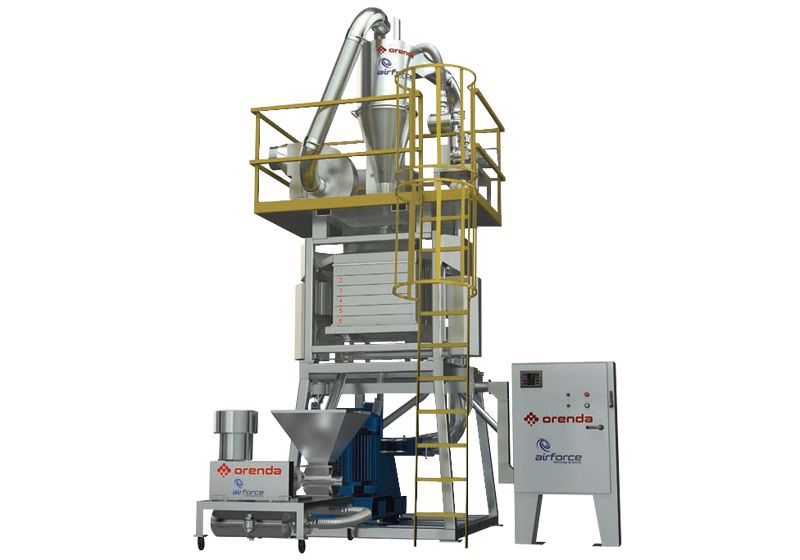 For superior quality and higher production rates, customers turn to Orenda - the leader in ambient pulverizing/micronizing equipment. 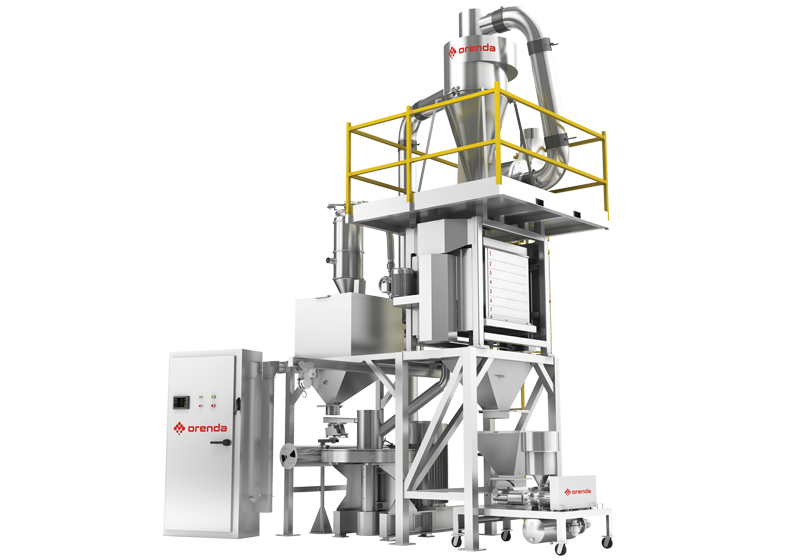 Features: two primary mills with 100 HP high efficiency motors, patented air cooling technology of rotary and stationary cutting discs, 20″discs are double faced and disposable, 8″rotary valve, 8 deck sifter, fully automatic – PLC and touch screen controls. The AF H1D 500 is our best-selling AirForce pulverizer. Biggest bang for your energy cost. 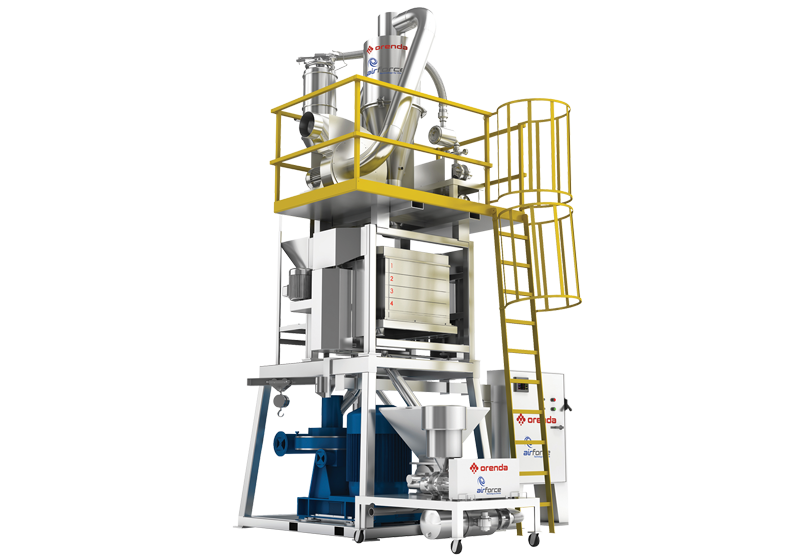 This single mill pulverizer can yield exceptional production capacity with 6 sifter decks for optimal reduction. AirForce technology at the heart of this pulverizer results in a cooler running system and reduced blade maintenance. 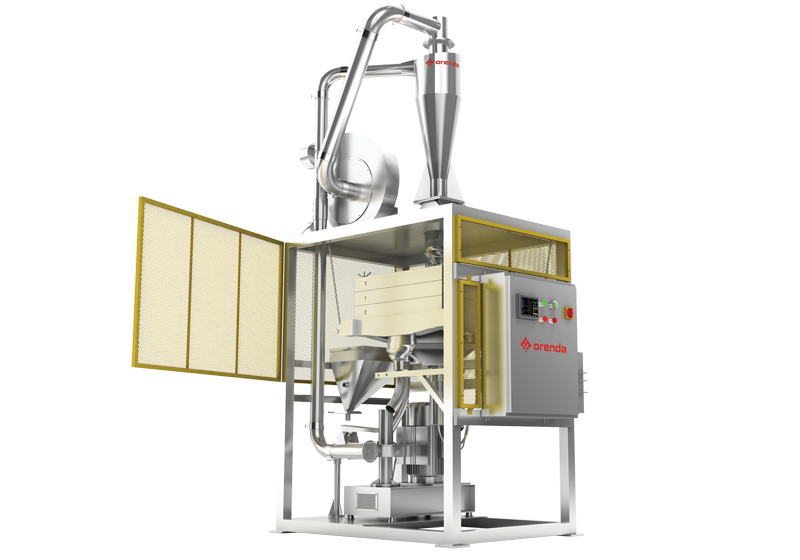 Features: single mill with 125 HP high efficiency motor, patented air cooling technology of rotary and stationary cutting discs, 20″discs are double faced and disposable, 8″rotary valve, 6 deck sifter, fully automatic – PLC and touch screen controls. 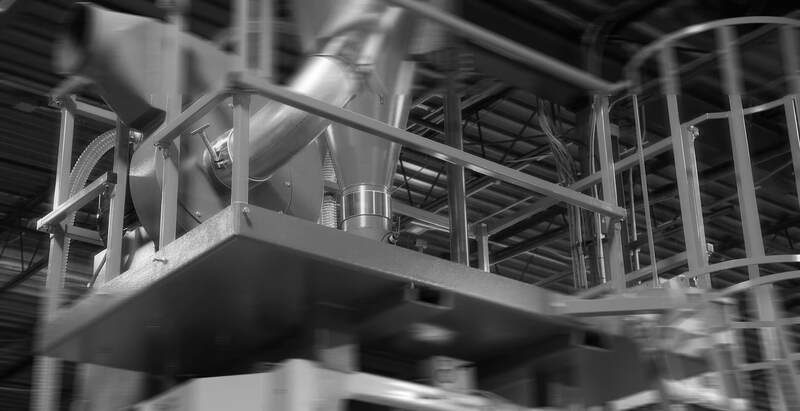 Sharing the same footprint as the AF H1D 500, the AF H1D 400 utilizes a 75 hp motor with a 4 deck sifter pack yielding a production rate of up to 1760 lb/hr when processing LLDPE and up to 950 kg/hr when processing rigid PVC. Performance, efficiency, great production rates, price wise this model has it all. Features: single mill with 75 HP high efficiency motor, patented air cooling technology of rotary and stationary cutting discs, 16.6″discs are double faced and disposable, 8″ rotary valve, 5 deck sifter, fully automatic – PLC and touch screen controls. The H1D 250 is the baby of the AirForce pulverizers. 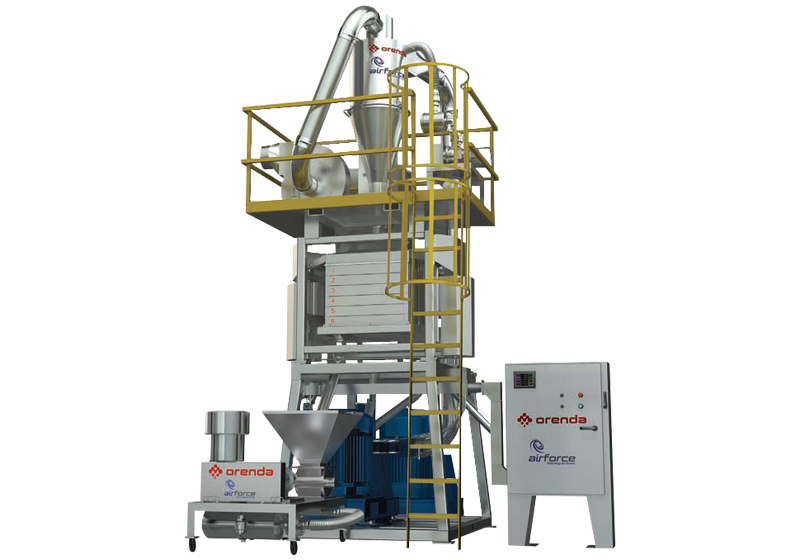 The H1D 250 boasts a 30 hp mill motor with a 2 sifter deck capable of producing up to 350 lb/hr for LLDPE and up to 500 lb/hr for PVC. The H1D 250 is proof that Orenda makes smaller faster and cooler. Our entry level model, utilizing the AirForce technology. Good things really do come in small packages. 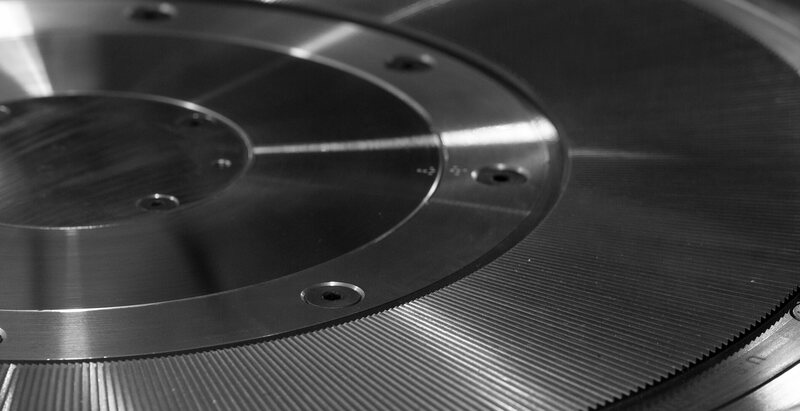 Production rates up to several hundred pounds per hour. The LAB pulverizer is our smallest Airforce pulverizer build for the purpose of very small runs. 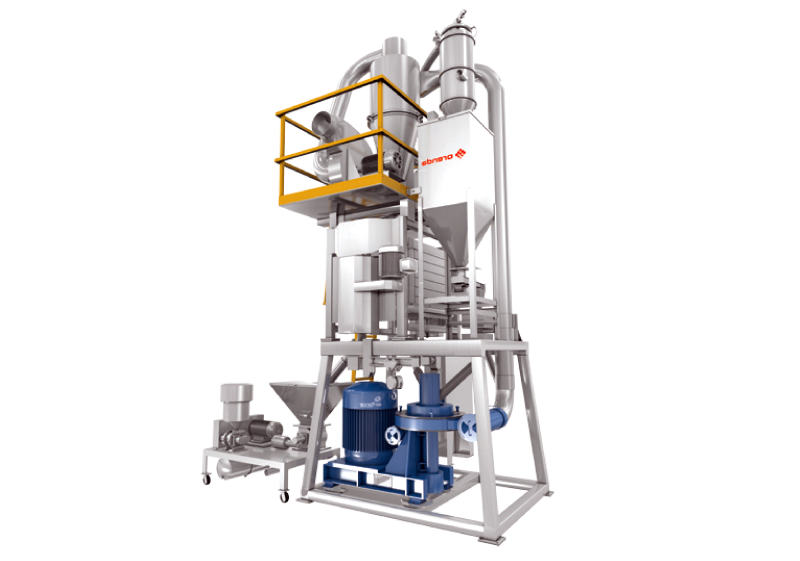 The LAB pulverizer is primarily used in testing for quality control and similar applications. 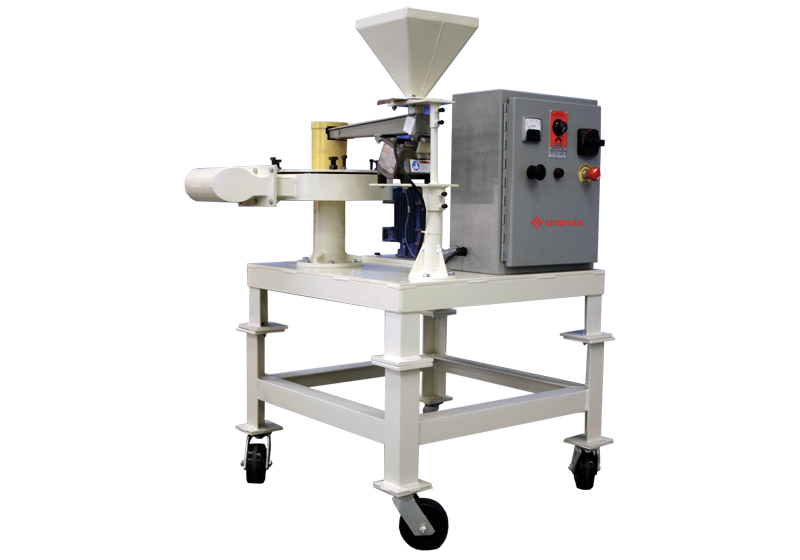 The LAB pulverizer mill is powered by a 7.5 hp motor. The rate control is done manually. Orenda offers a broad range of highly specialized technical expertise and services geared towards those in the size-reduction business.